India vs Australia 2019: With World Cup around the corner, the Men in Blue still do not have a settled look about their squad. India vs Australia 2019: With World Cup around the corner, the Men in Blue still do not have a settled look about their squad. There is a problem in the middle order and many players have been tried in that slot and now it seems that the management is looking at experience for that position in Ajinkya Rahane. Rahane has undoubtedly been India’s best bet in overseas conditions. But, with just five more ODIs to go for India to play their World Cup opener against South Africa, it seems it is a tad bit too late for India to contemplate Rahane at No 4 or 5. So, what are the reasons that should stop the team management from selecting Rahane? 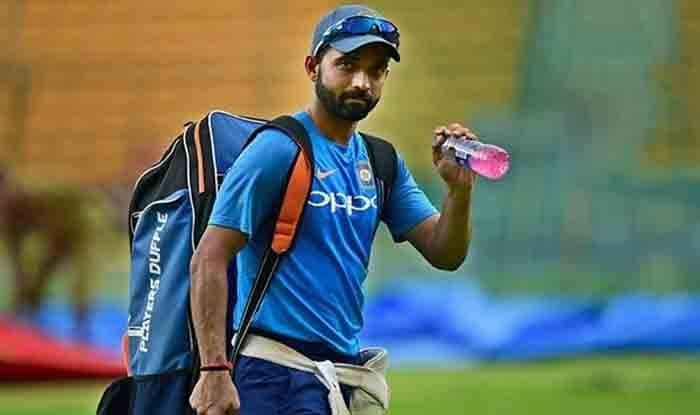 Not Regular, Offlate: Rahane has not been a regular fixture in the limited overs squad lately and that means he has not had much game time in the international circuit. The Mumbai batsman has last played an ODI one year ago, in February 2018. IPL and the upcoming series will give Rahane an opportunity to get accustomed to the white ball, still one feels it is late. Rotation of Strike: Rahane, unlike Kohli, has always struggled when it comes to rotation of strike during the middle-overs. That is something which is a must in modern-day cricket and that is again a factor that does not work for the elegant batsman. Rahane has been in decent form in List A cricket, scoring 597 runs in 11 innings at an average of 74.62. He has also hit two hundreds and three half-centuries. “In domestic cricket he [Rahane] has been in form. He is very much in contention for the World Cup,” chief selector MSK Prasad said.